A novel but functional alliance has been created between Afriforum and the well- known international prize winning lobby group called Treasure the Karoo Action Group (TAG). The similarity in acronym with the better know Treatment Action Campaign (TAC) grouping that succeeded in weaning the South African government off AIDS denialism and into the state supply of anti-retroviral drugs to HIV positive patients is not a mere co-incidence. The TAG is prepared, unlike many green oriented organisations, to keep an open mind on difficult questions and raise them pertinently and patiently with those in positions of authority with a view to getting accountable answers to legitimate queries. In alliance with Afriforum they are here for the long haul. The TAG was formed around concerns that fracking in the Karoo, in search of potentially valuable shale gas, could have environmentally disastrous effects, especially on the aquifer under the surface of the Karoo that could become the most valuable water asset in Africa if dire predictions that world war three will be fought over access to water are accurate. It is worth noting in the context of the fracking debate that Total, the French oil company, has made a decision not to become involved in fracking at all at any time and in any location. This is a matter that other oil companies ought to take into account and ponder carefully in their forward planning. There remain a number of candidates in the field in South Africa who are still keen to prospect for shale gas in the Karoo and, apparently, elsewhere. The government is actively encouraging this new energy source on the basis that it will create much needed jobs, save foreign exchange and give a welcome boost to the economy. In successive state of the nation addresses the President has let it be known that shale gas exploitation is regarded as a “game-changer” by the government. Fortunately for those less than overwhelmed by the upside of fracking, the government cannot simply take a decision to proceed with fracking on its own whim. The fundamental and salutary difference between the old SA and the new SA is that politicians can no longer do as they please. Under the new dispensation the activities of the executive and legislative spheres of government are constrained by the Constitution. The rule of law is regarded as supreme and any law or conduct that is inconsistent with the Constitution is invalid and is accordingly liable to be struck down by the courts for its failure to pass constitutional muster. That is why the alliance between Afriforum and TAG is so useful to the best interests of the country. The state must respect, protect, promote and fulfil the rights of all to an environment that is not harmful to health and well-being. This is guaranteed to all in the Bill of Rights. The provisions go on to specify that protection of the environment is for the benefit of present and future generations via the use of reasonable legislative and other measures designed to prevent pollution and environmental degradation. 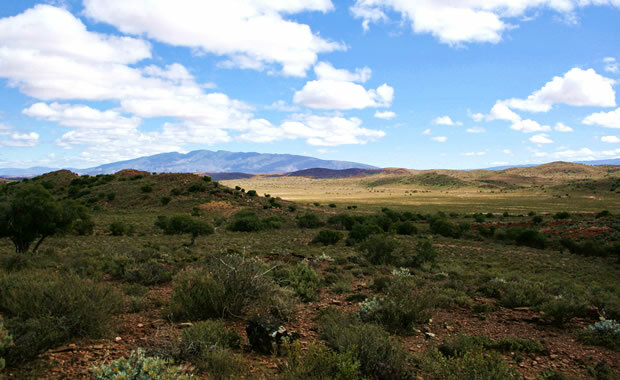 The securing of ecologically sustainable development and the use of natural resources while promoting justifiable economic and social development are the prescribed constraints on any government keen to embark on a new way of using natural resources such as the shale gas that may or may not be available under the surface of the Karoo in exploitable quantities extractable without environmental harm. The question now is whether the state is observing the constraints upon it in its eagerness to get into fracking and the exploitation of shale gas that may be found when the frackers explore for it. “People’s needs must be responded to, and the public must be encouraged to participate in policy-making” The next subsection emphasises the importance of accountability. Fracking has set off to a less than auspicious start when it comes to compliance with these requirements of our supreme law, which are ignored on pain of having conduct and laws struck down as invalid. A farcical public participation process in the Karoo, conducted exclusively in American English by foreign consultants in isolated areas in which the English language, as it is known in SA, is little understood and seldom spoken, was attempted and then abandoned on the pretext that the remaining (majority of) people left out of the process would respond with equal incomprehension, disbelief and anger at the idea of the pillage of their heritage in the interests of making a quick buck on the proceeds of the sale of shale gas. When the commercial applicants for the necessary permission to prospect got to work, their efforts at public participation were equally puny. One sporting outfit asked (this is what happens when one cuts and pastes) for permission to prospect in “the Greater Johannesburg area”. There is enough trouble there with acid mine drainage already without further complications arising from the activities of those who wish to get permission to frack. The draft regulations around fracking have been subjected to a scrutiny of some 600 pages by those concerned about the legality, constitutionality, sustainability and viability of engaging in an activity that could forever pollute the underground water of the Karoo, a special part of the family silver of the nation. The government has yet to respond to the matters raised in the objections to the draft regulations which span a multitude of errors, omissions, ambiguities and contradictions. Once again, any failure to deal responsively, openly and accountably with the objections lays the government open to a legal attack for want of compliance with the foundational values of our constitutional order. TAG and Afriforum have let it be known that they will not be ignored. They suggest, wisely so, that the moratorium on exploration be re-instated and that until the Canadian study is assessed fully against local conditions in SA, there be no “game-changing” plans made to get on with fracking in a situation in which angels would fear to tread. They have drawn government’s attention to a congressionally mandated study in the USA that is reaching finality after five years of intensive research but has yet to be published. It is surely not too much to ask of our government that rushing in should be avoided in the interests of the agricultural and tourism activities in and the potential of the affected areas. An ill-considered approach, such as the acquisition of a 25% stake holding by the ANC in Hitachi Power Africa (since abandoned at great profit to the ANC and greater embarrassment to the country) is not indicated. The objectors have the clout, the wherewithal and the experience to ensure that if there is to be any fracking in SA it will be done in a constitutionally compliant fashion or not at all. It may just be easier and better for all concerned to look more carefully at our plentiful clean and renewable sources of energy that remain unexploited, perhaps because they are clean in more than one sense. Thank you so much for your well written article which has put things into a very balanced perspective. I live on the edge of the Karoo and truly appreciate what you are doing. This subject is well known to the publishers of “Karoo Space” and I intend to forward a copy of this to them just in case they may not have seen it yet. I am afraid it is too much to ask of a government many members of which are driven solely by selfishness and greed. This is scary. What I do not understand is why the applicants are not named and identified. Who are they? What are their names? How are they connected to the ANC? Are the large oil companies involved? We want to see their faces, hear their names. know where they live and probe their intentions. This campaign needs more exposure. There must be journalistes that are prepared to publish reports, show photos of fracking in other countries, highlight the dangers. On my next trip through the Karoo I want to collect local community newspapers – surely they have a better chance to get to the local population in a language they can understand to warn them of the disaster facing them.